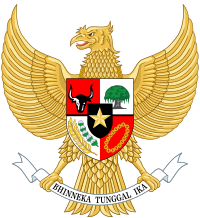 This user is a citizen of the Republic of Indonesia. This user is an Indonesian living in Indonesia. su-2 Ieu jalma bisa méré tulisan make basa Sunda tingkat panengah. This user has been on Wikipedia for 9 years, 6 months and 30 days. This user enjoys association football and American football. This page was last edited on 24 March 2014, at 10:45 (UTC).